I know that the Bobbi Bear pattern has been out for years. He’s always been on my list to knit, but it hasn’t been until recently when I have been obsessed with actually making them. Most normal people would stop with one, but not me. The first guy I made I used Elann Highland Peruvian Wool – Superwash. Some stuff I had left over from my Chic Cardi. I thought it would be perfect…worsted, superwash, the color of a bear…Little did I know this poor bear was not going to work out quite as well as I thought he should. Have you ever seen a Gummy Bear that’s been soaked in vodka? They are huge! That’s kind of what this poor guy looked like when I took him out of the dryer. Ugh. So, I took him apart and took some stuffing out of the poor th ing. That’s probably why he looks a bit deflated. I then decided that it probably wasn’t the best yarn to be using, so I went with the Lion Brand Organic Cotton in a dark brown. I think this guy turned out MUCH better. 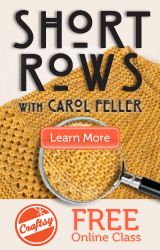 It’s more of a heavy worsted weight yarn and much more forgiving in the stretchier areas like the neck. So, now I have a den of Bobby Bears that I knit because I had to!